Miss Priss is slowly embracing TheRoomMom version of snack after she realized she wasn’t as hungry in the afternoon on our snack days. 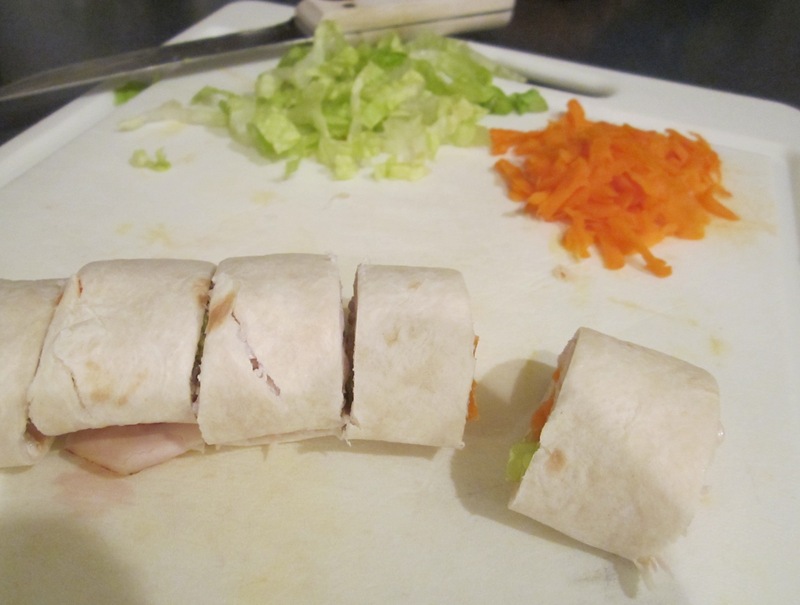 She requested turkey wraps for her class this rotation. 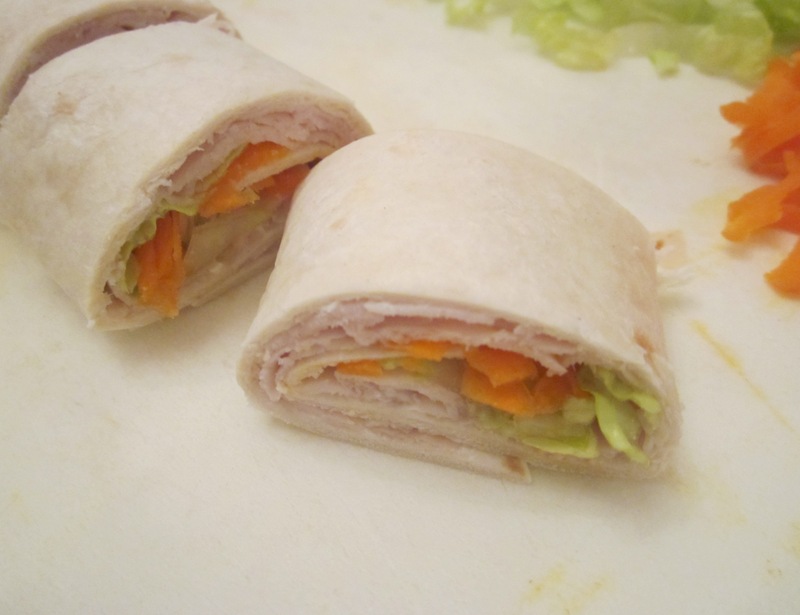 Not only is it easy to make a basic wrap, but it can be a good school lunch option, and you can fill it with all kinds of meat, cheese, or veggies depending on the tastes of your child. I made extras tonight to take with me to school tomorrow to share with my co-teacher. Spread a thin layer of cream cheese on one side of a tortilla. Cover the entire surface. Cover the cream cheese with a layer of turkey. I use 2-3 slices. 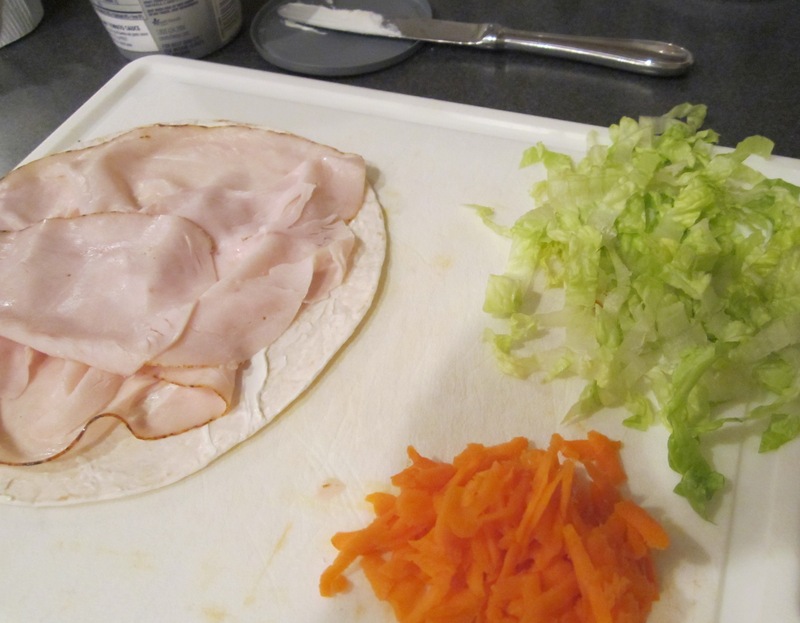 Near one edge of the tortilla, sprinkle a line of lettuce and grated carrot. From the end with the lettuce and carrot, roll the tortilla. Can be made the night before and refrigerated since they don’t get soggy! 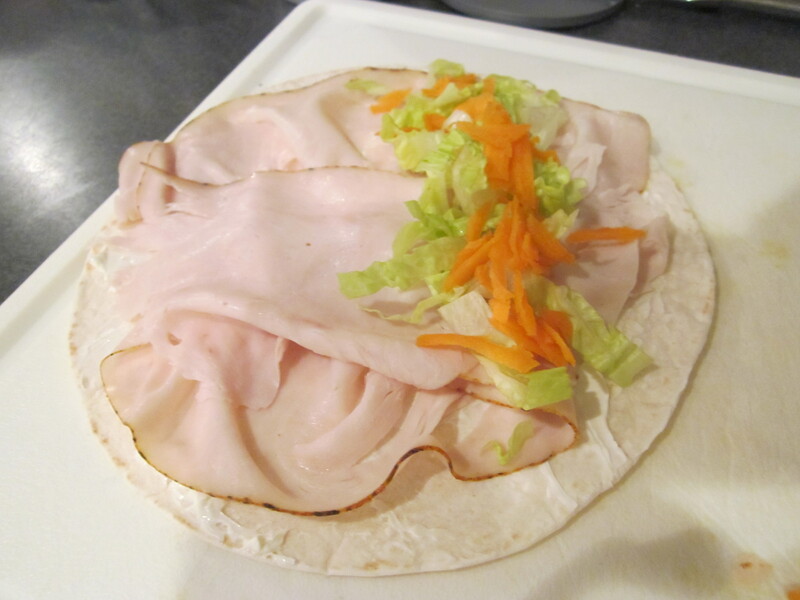 I like to spread the tortilla with Boursin or Alouette cheese and add additional thinly sliced veggies like red pepper. Hummus makes a good spread too instead of the cream cheese. I am also sending in bags of pretzels because I think this snack may be too “weird” for some kindergarteners. 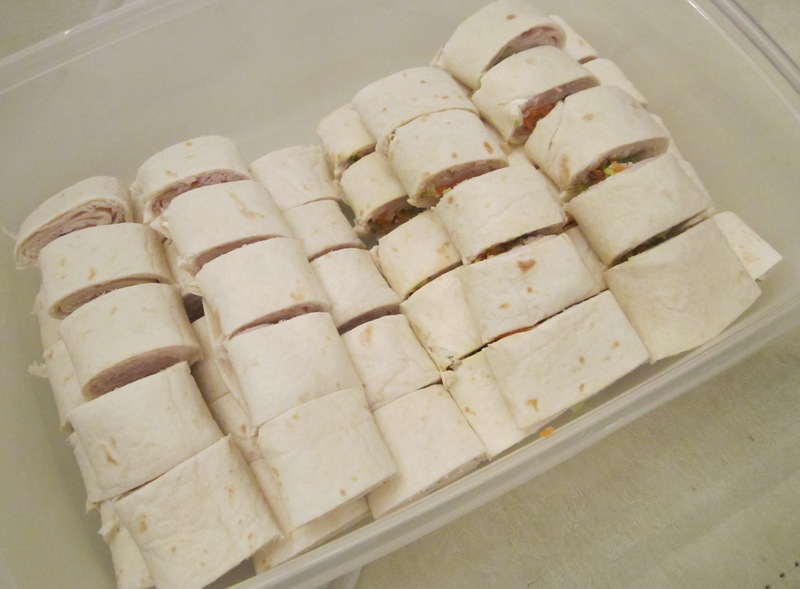 We did make half of the wraps with cream cheese and turkey only, so I am hoping all of the kids might give it a try. What are other good wrap combinations for children or adults?